Hello summer! With the warmer weather upon us in I find water seems be be a bigger part of our daily lives now. We drink more of it. We play in more of it. We visit and enjoy more of it. Although my family lives in a big city, we’re walking distance to a great lake and we visit it often. The water, whether it’s the lake or ocean or beach, is a great place to explore and cool down and have fun. I’ve compiled a few great water themed books to get your family ready for your next beach or water adventure. A little girl visits the beach with her mom. She plays in the sand, hunts for shells, takes a swim before she settles in to a nice beach lunch. 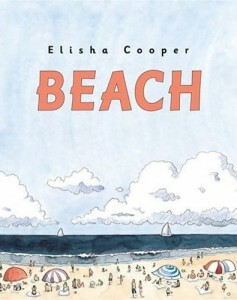 A visit to the beach can be a full day and this story gives the reader a great description of what to expect. 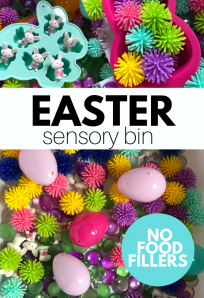 This is great for young kids who haven’t been to the beach. It explains using a young girl’s point of view what you bring to beach and what you can expect to do once you’re there. The illustrations are muted and warm and fill the page and included our young red-haired beach girl enjoying herself in each one. 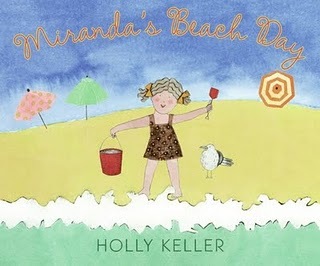 Miranda and her mom spend a warm, sunny day at the Beach enjoying the water, the animals and the sand. Miranda experiences the beach with all her senses: feeling the hot sand under her toes and the water swirl around her, hearing the roar of the waves as they wash on the shore and the seagulls squawk in the air above, tasting the salty sand that sticks to her face, seeing the small Hermit crab skuttle across the sand. 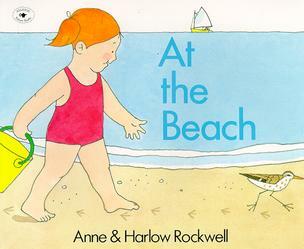 My kids loved reading this book; it had the ability of transporting them to the beach right from the living room. 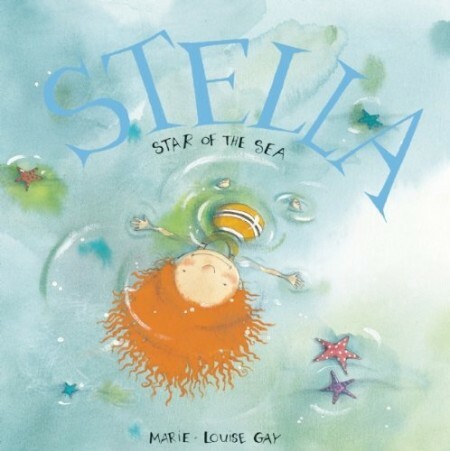 The illustrations are warm, muted water-colourings that add to the whole beach feel. Go to the beach and sit back and just watch the day unfold, that’s what this book is like. It starts off early in the morning, with just the unmarked sand and rolling waves but quickly it fills with people: a woman spreads a towel on the sand, a girl covers her friend in sand, seagulls hover overhead watching. The book is like mini stories all collected in small images. There’s a page that talks about the clouds that roll by and the different shapes they form. Eventually people leave and the beach is quiet again. I love this book. I love the water-colours and how the story builds from a quiet morning to a full beach day back to quiet again. The other thing that is nice about how this story is written, you don’t have to read every single piece. Each little image is a little story unto itself. Stella and Sam are spending the day at the beach. Stella is older and she’s been to the beach once before and knows all its secrets. Stella enthusiastically takes charge of the surroundings, exploring and enjoying everything the beach has to offer without hesitation: diving in the water, collecting shells, digging a tunnel to China. Sam on the other hand has never been to the beach and approaches things a little cautiously, asking if the water’s cold or if sea monsters live beneath the waves. Questions aside, after he’s been schooled by Stella and sees how much fun she’s having, he too relaxes and joins her in the water. 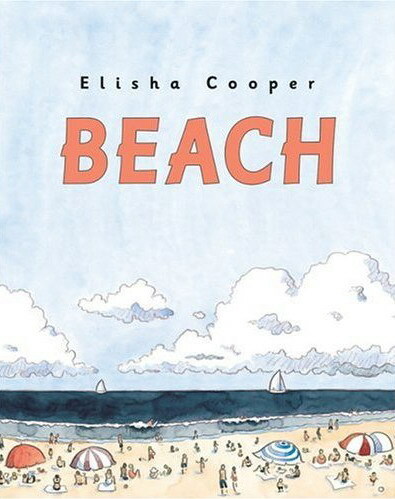 Not only is this a great book about visiting the beach for the first time, Sam asks questions that first time beach goers might ask, but the relationship of big sister, little brother between Stella and Sam is wonderful and feels very natural. This wonderful poem takes underneath the cerulean seas to visit angelfish, barnacles, blowfish and more wonderful creatures. 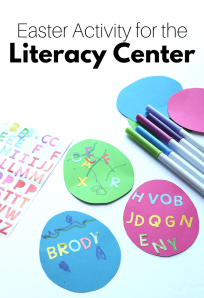 The text is large and the rhyme will have kids guessing what comes next. The pages are filled with colourful creatures, created in a style that almost resembles a collage. The creatures references in this book won’t be ones they’ll see at the beach but the whole unknown world beneath the water is fascinating. And they might just discover some creatures they’ve never heard of before. 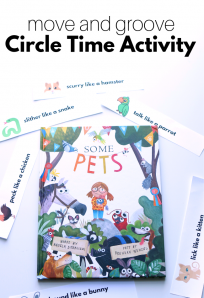 Although the book is rated by the publisher as being for grade school, the short poem, colourful imagery and great fish vocabulary will entrance younger readers too. I LOVE that Stella book–too much for my son as he’s still very distractable, but I loved it! 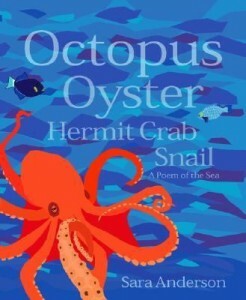 That octopus book looks great–I will have to check it out. .-= Katy´s last blog ..Good Things =-. Thank you for always giving me so many new subjects of books to check out!! !